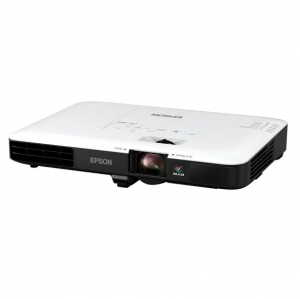 Epson EB-1780W 3000 Lumen WXGA Wireless LCD Portable Projector + FREE Portable Bluetooth Speaker! 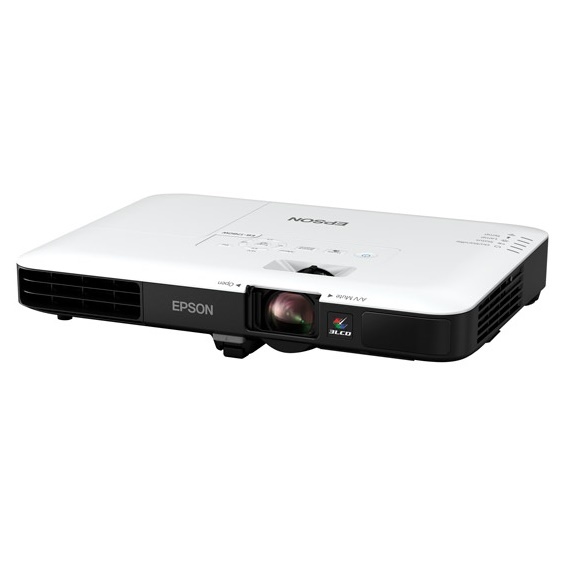 This ultra-mobile projector offers an ultra-slim lightweight design, exceptional image quality and advanced functionality, making it perfect for people who are constantly on the move and frequently make presentations at customer sites. With traditional wired, screen mirroring, time-saving set-up plus a range of advanced features, it's ideal for polished presentations. • 3 x Brighter Colours and Reliable Performance – 3LCD, 3-Chip Technology. Look for both high colour brightness and high white brightness. • Crisp, Clear Resolution – Featuring WXGA resolution for sharp, widescreen images. • Travel Friendly – Weighs just 1.77kg. • Fast, easy image adjustments – Auto vertical and manual horizontal keystone correction. • Versatile connectivity – Compatible with the latest laptops and media players and supports HDMI. • Split Screen – Simultaneously project two images, video or still, side by side, from two different sources.